SCRA Technology Ventures’ SC Launch program was the Stevie® Award winner for Non-Profit or Government Organization of the Year in The 2011 American Business Awards. (The 2012 American Business Awards are accepting entries. Download your entry kit now.) Here we look at how the successful SC Launch program created jobs. Located in South Carolina, SC Launch began in 2006 as a way to assist entrepreneurial start-up companies with up-front counseling, seed funding and access to a powerful resource network. Created by the collaboration between SCRA and the research foundations of Clemson University, the University of South Carolina, and the Medical University of South Carolina, SC Launch is an entrepreneurial inspired program. Created by entrepreneurs and run with best entrepreneur practices, SC Launch provides necessary tools to help build successful technology startups, jobs, and future opportunities for entrepreneurs in South Carolina. provide opportunity for all South Carolinians in the new economy. positioning emerging South Carolina Knowledge Economy companies to secure more than $165 million in follow-on funding from angel, venture, and other private capital sources. Three Award Winning Innovation Centers were opened to house companies working to commercialize their research discoveries. These Centers are state-of-the-art laboratories, manufacturing, and business facilities whose occupants work on new technologies in such fields as bioscience, advanced manufacturing, energy and environmental sustainability, and pharmaceuticals. A number of SC Launch companies are housed in these facilities. SC Launch invested in eleven new, promising portfolio companies and supported three companies moving operations to South Carolina. The increase in applicants in 2011 demonstrated the success of the SC Launch program. The increased number of companies that actually received support showed that companies are maturing in their life cycles and choosing to run their businesses in the State of South Carolina. SC Launch is particularly proud to be an efficient steward of its funds. The organization documented that in 2010 95% of its funds were directed into investments in entrepreneurial company growth. The business awards winning company was recognized in The 2011 American Business Awards for its role in leading collaborative entrepreneurial and economic development efforts. "SC Launch is overwhelmed to receive such an honor from the American Business Awards," said SCRA Executive Vice President and SC Launch Executive Director Dave McNamara. "I would like to thank our staff, our investment board, and our outstanding resource partners for their hard work and dedication in building our program." SCRA CEO Bill Mahoney added: "The SC Launch program continues to identify and support emerging technology businesses in South Carolina, and we are pleased to be recognized on a national scale. We are committed to advancing South Carolina's Knowledge Economy, and I am confident that SC Launch, along with other SCRA operations, will continue to help companies succeed through our partnership efforts." In addition to winning a Stevie Award, SC Launch was recognized by Forbes as one of the top entrepreneurial support programs in the nation for its dedication to pursing its mission. SCRA also received national and international recognition for such diverse outcomes as advances in defense-related manufacturing technologies, design and construction of LEED-certified research facilities, and quality-of-life improvements for prosthetics users. 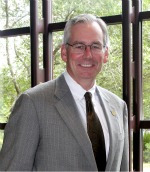 Dave McNamara serves as SCRA Executive Vice President and SC Launch Executive Director. McNamara provides leadership at SC Launch by directing all aspects of operations, research, communications, and recommendations of the program. He is an experienced Fortune 500 and start-up executive, and also serves as an adjunct professor at the University of South Carolina and Midlands Technical College. McNamara is a strong asset to the SC Launch program and brings the program an entrepreneurial spirit that is seasoned, savvy, and forward-looking. Bill Mahoney serves as President and CEO of SCRA and brings over 35 years of technology management and applied systems innovation and leadership to the company. Mahoney’s leadership has positioned SCRA as an emerging global leader in targeted applied research and commercialization vertical markets for federal and corporate clients. He has brought national attention to the award-winning SC Launch program, which was created under his watch. SCRA is an applied research company with over 28 years of experience delivering technology solutions with high returns on investment to federal and corporate clients. SCRA has three sectors which fulfill our missions: our Technology Ventures sector helps early-stage companies to commercialize innovations and create jobs, our Applied R&D sector manages over 100 national and international programs worth over $1.5 billion in contract value and our R&D Facilities sector builds and manages research facilities that include wet labs, secure rooms for sensitive work and advanced high-tech manufacturing shops.